Financial institutions must find better ways to comply with increasing regulations to avoid fines and damage to their reputation and bottom line. 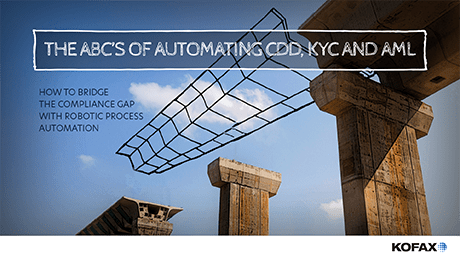 The challenge is three-fold: meet the compliance requirements of Customer Due Diligence (CDD), including Know Your Customer (KYC) and Anti-Money Laundering (AML) checks, while delivering an omnichannel customer experience and process efficiencies. Failure to do so can have serious consequences; for example, Deutsche Bank was fined £188m for serious anti-money laundering control violations. 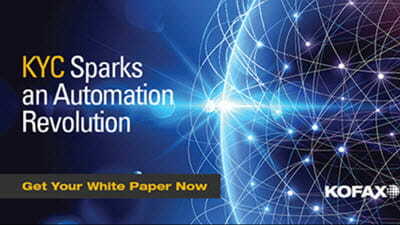 Eliminate manual task burdens on your employees by deploying robotic process automation (RPA) to reduce errors, costs and timelines, and increase customer satisfaction. Drive even greater value via an agile, open digital transformation platform, and take your compliance efforts to the next level. Leverage internal and external data to improve risk management and deliver content to systems of record. Enhance customer relationships via shorter onboarding processing, such as ID verification and ongoing communication. Now, we have all the information we need in one place, so our risk analysts are able to make better assessments—and much faster than before.